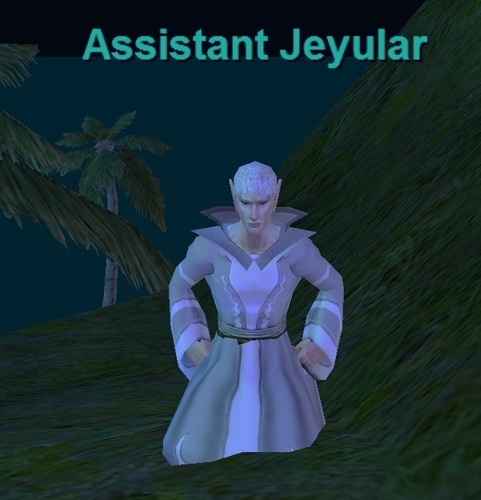 Would anyone happen to know the location of this npc? In these days of no boats, take the translocator from the Butcherblock dock to the Sister Island dock in OOT, then south to the next island. He's at (-480, -8850) along with Guardian of K`Arnon.